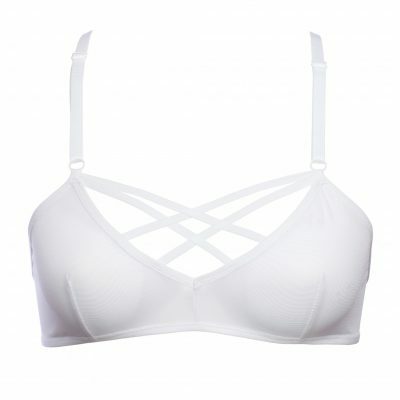 Made from sheer white mesh and delicate lace this bralette is a sensual dream. It is super comfortable and exceptionally beautiful at the same time! Easy to wear and eye-catching. The straps can be made with golden or white metal detailing regarding your wishes and other items in the order. This model is also available in red.